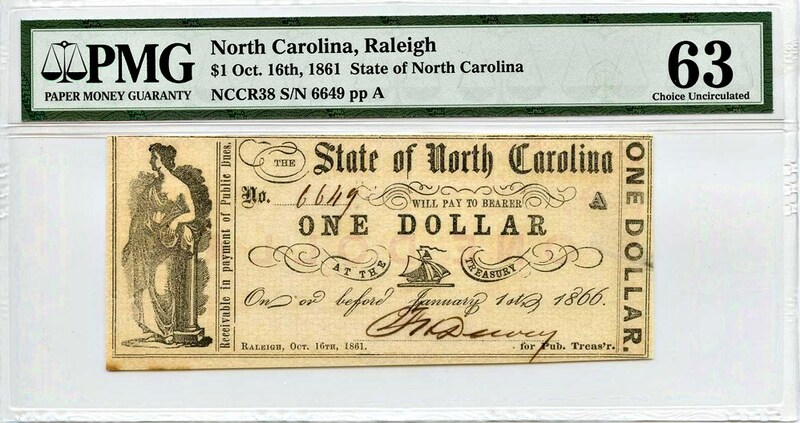 The state of North Carolina issued a large variety of fractional and low-denomination notes during the Civil War. 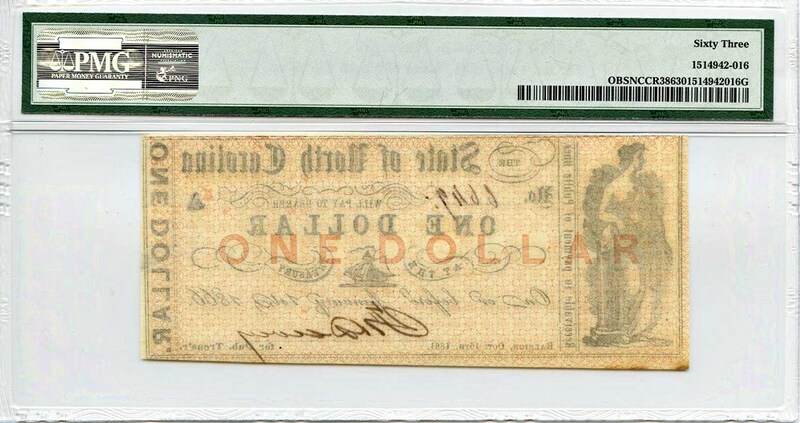 This $1 is Criswell-38, dated October 16th, 1861. This variety is distinct by its watermarked paper. Choice high grade example.